Alex first delivered his introduction to Functional Programming to our SydJS(J) meeting to a room full of Junior Developers. 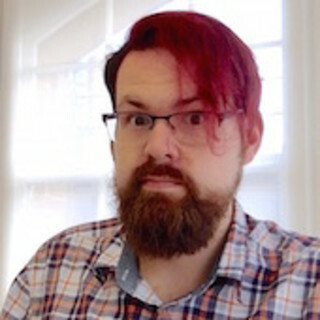 His talk looks at how even the newest Developers can benefit from the principles that drive FP, and he approaches the subject from the point of view of a Developer who's career very nearly missed IE8. Been looking for a take on Functional Programming that didn't assume you were a programming veteran? You need to see Alex's talk. To round the presentation out, Joachim will focus on algebraic data types what they are, how to use them, and maybe most importantly, why to use them. This talk is about a tool in the FP shed that Rob has found himself reaching for a lot. It's to do with splitting up some of our code into separate "instructions" and "interpreters"; by keeping them distinct, we can more easily re-use our code, and make it easier to test. This talk will show you how to use this technique: it'll start with simple examples, dig into real-world libraries like "redux-saga" and "fluture", and then conclude by tackling a common interview question in an unconventional way.